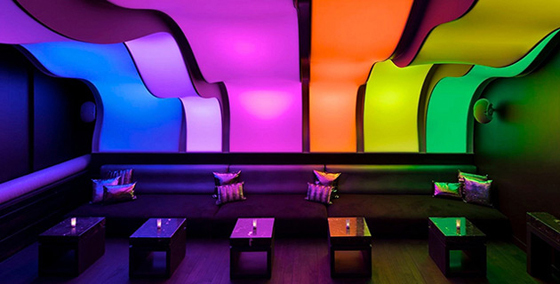 Located in Montreal is the W Hotel. However, this isn’t like any hotel. 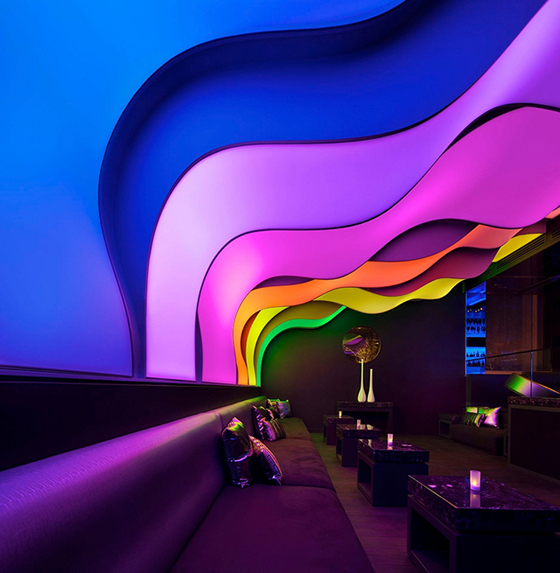 Located inside is the breathtakingly vibrant Wunderbar, a sleek multi-level lounge. Montreal is known for its distinctive seasons and beautiful natural surroundings. Wunderbar filters this beauty and exudes the outdoors’ vibrancy while offering amenities consistent with A-list destinations worldwide. The Wunderbar was designed by BPC (by Peter Chase). The space is dynamic. 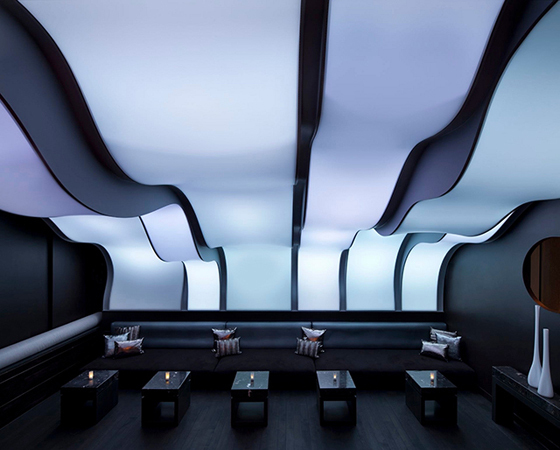 While the furniture is simple, undulating forms from the ceiling and walls change personality with transforming lights. The space can change from monochromatic to an intensely wild range of color. This atmospheric quality is dependent on the DJ for the night, holidays, events and more. While the shapes are produced using a hard form, this could have easily been manufactured as a fabric structures with color changing lights. The effortless flow of fabric would have added to the natural depiction of the design.